Festival season might as well be called networking season. There’s no better place to take meetings, make connections and work a party crowd than a buzzy film festival. So now that everyone’s ramping up for Slamdance, Sundance and SXSW, it’s the ideal time for us to share some of the insights we’ve gathered to help filmmakers find their way to their dream teams. In this, the first of a thee-part Festival Prep blog series, we’ll focus on finding the right producer’s rep. Below is a compilation of the collective wisdom we’ve gathered from filmmakers in the trenches, those behind 2012-2013’s most innovative indie films, who we featured in our annual compendium of case studies in the Film Independent Forum guide. A Producer’s Rep List of contact information for more than 30 of some of the top reps is available online to Film Independent Members. 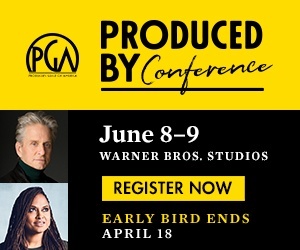 Look around and ask other filmmakers about their experiences with professionals they have worked with: producerʼs reps, publicists, digital aggregators, distributors and marketing consultants. Probe these professionals before you hire them to work for your film. Remember, they will be working with you for your film. They are the experts in their fields, but youʼre the driving force behind the film. Donʼt be afraid to ask questions. Ask a producerʼs rep: “What is your opinion of my film? How many films will you be representing at a particular festival? And if youʼre representing too many, will you personally tend to each film, or will you hand my film to a rookie in your company?” If you donʼt feel their passion and commitment for your film is there, you should not sign them on to represent your film, even if you have heard theyʼre the best in the industry. They might not be the best for your film. If a producer’s rep or sales agent asks for a flat fee paid up front for their services, that doesnʼt show much confidence in your film or their ability to represent it in the best possible way. Instead, a producer’s rep who gets your film and trusts it will have an audience be inherently motivated and equipped to sell the movie to others. The same applies for a publicist. Most producerʼs reps will work on a percentage-based fee of the sales of your film. These percentages may range from 5% to 15%. The lower end is extremely rare, and most often reflects a previous relationship or history between the agent and talent of the film or the stature of the filmmaker and cast, which can make it an easier sale. Publicity agencies may charge anywhere from $3,000 to $10,000 for a festival run, depending on the scope of the work. So it is important that when you approach them you have already prioritized your needs, are clear about your expectations and ready to negotiate the best fee for the services that you want to receive. Yes, you can negotiate.